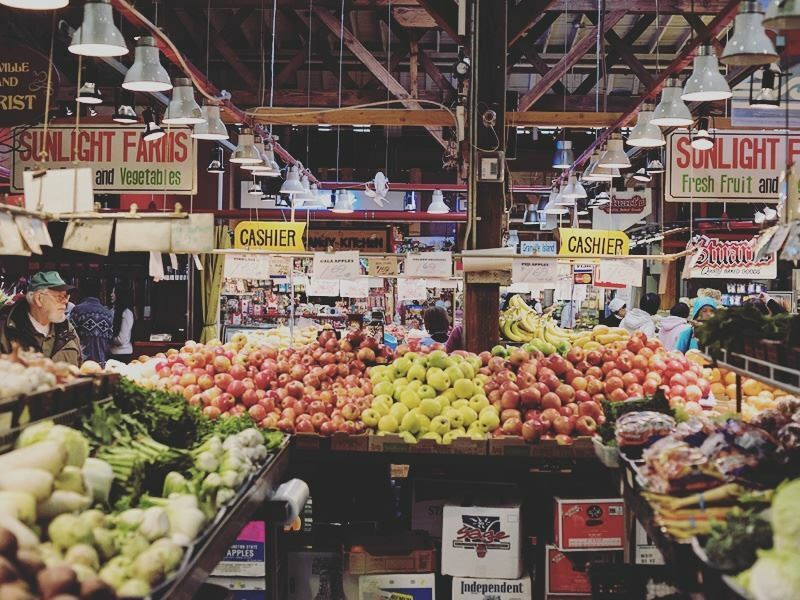 When it comes to eating the very best fresh, local and healthy food there’s no better place to go than the farmers’ market. A trip to the local farmers’ market is exciting enough at home, where you’ve got stall after stall selling hand-picked produce, top quality meat and freshly-laid eggs. But it’s even more fun on holiday when you’re surrounded by beautiful, delicious produce you’re not used to seeing in markets back in the UK. Farmers’ markets in Vancouver give you the chance to discover all the amazing local ingredients in season while getting to learn a bit about where they come from, meeting the people who grow them and helping to support a great agricultural community. 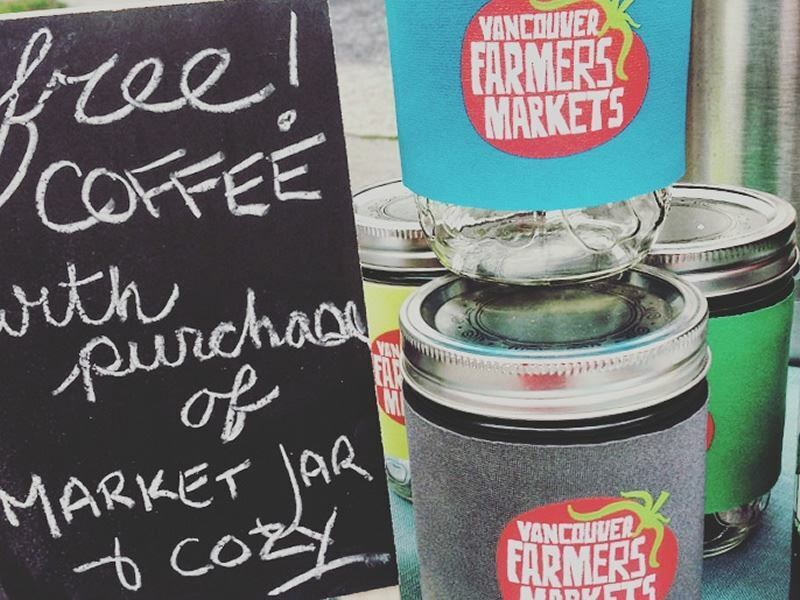 Why shop at farmers’ markets in Vancouver? 1. It tastes better. While fruits and vegetables sold in supermarkets can be sat in refrigerated containers for weeks before arriving on the shelves, produce from the farmers’ market is picked at the very last minute to conserve freshness, usually as late as the day before the market is held. Most food (with the exception of things like steak which improves when hung) has a better flavour, colour and texture the fresher it is. 2. It’s cheaper. Supermarkets have to pay a lot of overheads to get their hands on produce only available from far-off countries all-year-round. Then they’ve got to cover packaging costs, staff wages and all sorts of other little payments that really add up. Local farmers only sell what they’ve got on their farm, packaging is basic and businesses are usually family-run. This means that costs are kept to a minimum and the savings are passed onto the shopper. 3. You get to chat to the farmer. The staff in any supermarket will have a general idea about the produce for sale and some might even have a few ideas about ways to prepare it, but no one is more excited and passionate about fruit and vegetables than the farmer who grew it with his/her own hands. Whatever question you’ve got about the food on offer, the farmer will be able to tell you. From how it was grown and how much longer it will be in season to how it should be stored and what you should serve it with, all you need to do is ask! When can you shop at farmers’ markets in Vancouver? The best seasons to shop are spring, summer and early autumn when farmers’ markets across Vancouver will be overflowing with a rainbow of fruits and vegetables. Because in winter the city gets icy cold and there isn’t much to grow, you’ll find most markets only open from May or June until October. However, there’s always the exception to the rule and you’ll find some farmers’ markets in Vancouver open year-round, despite the winter lull in produce. Instead of selling fruits and vegetables between November and April, farmers’ markets that stay open at this time of year offer things like handcrafted gifts, baked goods, fresh eggs and dairy products. The opening hours are specific to each individual farmers’ market. The majority of markets are open morning until early afternoon (roughly 9am-2pm) only one or two days each week. But thankfully there is at least one farmers’ market open every day of the week in Vancouver. So no matter how packed your holiday itinerary already is, you’re bound to be able to squeeze a trip to a farmers’ market in there somewhere. What can you buy at farmers’ markets in Vancouver? Although farmers’ markets are best known for selling fruits, vegetables, herbs and plants, that’s not all you can buy from them in Vancouver. Depending on which farmers’ market you visit, you can expect to get your hands on dairy products (cheese, cream, milk, butter, ice cream and chocolate), pasture-raised eggs, meat, fish, baked goods, sweets, fruit juices, coffee, wine, cider, beer and jam. Some farmers’ markets even sell cookbooks, artisan products and fully-prepared meals made from the local produce sold by the farmers. Get there early. Most farmers’ markets are only open for 4-6 hours each day and popular products can sell out fast, so try and get there as close to opening time as you can. Not only will you have the widest selection of produce to choose from, but by getting there early you’ll also be able to browse the stalls without being stuck in the crowd that always develops later on in the day. Ask for a free sample. If you’re eyeing up something that you’re not quite sure about, be cheeky and ask for a free sample! Most farmers will be happy to offer you a small piece of fruit, vegetable, cheese, baked good or (if you’re lucky) a sip of beer or wine as a token freebie. If you like it, buy it! But if you don’t, it’s a good idea to find and buy something else you do like, just out of courtesy. Bring cash. A lot of farmers’ markets in Vancouver accept cash only – no cards. So leave yourself a reminder to hit the cashpoint before you head for the market. There’s nothing worse than spotting a glorious golden brown loaf or an amazing smoky cheese and not being able to buy it because you’ve only got cards in your wallet. Bring your own bags. 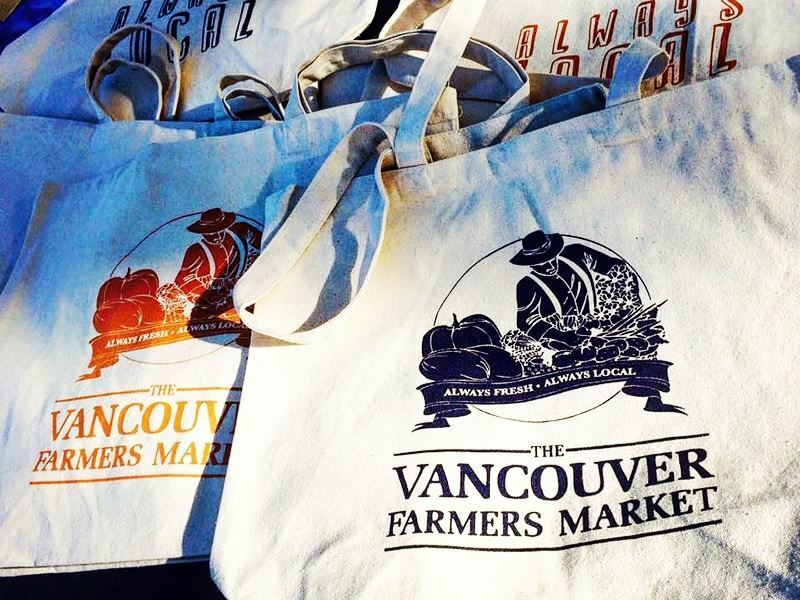 As a way of being more environmentally-friendly, some farmers’ markets in Vancouver don’t provide plastic bags. So unless you want to juggle and balance armfuls of produce back to your hotel, you’ll need to bring your own bags with you. Even though using your own bags isn’t obligatory at all farmers’ markets in the city, it’s still a good idea to reduce plastic waste and conserve the environment. Don’t worry about insects. When you’re buying organic produce which hasn’t been sprayed with a thick coating of pesticides, the odd worm or beetle is bound to appear. Just make sure you wash your fruit and vegetables thoroughly, chop off any nibbled bits and you’ll be fine. It’s a small sacrifice to make to enjoy farm-fresh pesticide-free goodies. The jewel in the island’s crown, the Granville Island Public Market attracts a great variety of locals and tourists throughout the year who crowd around colourful stalls overflowing with lovingly handmade products and the finest gastronomic delights. From fresh produce, fish, meat and baked goods to jewellery, art, beauty products and fashion accessories, this farmers’ market offers one of widest choice of products available in Vancouver and is one of the few open all-year-round every day of the week. 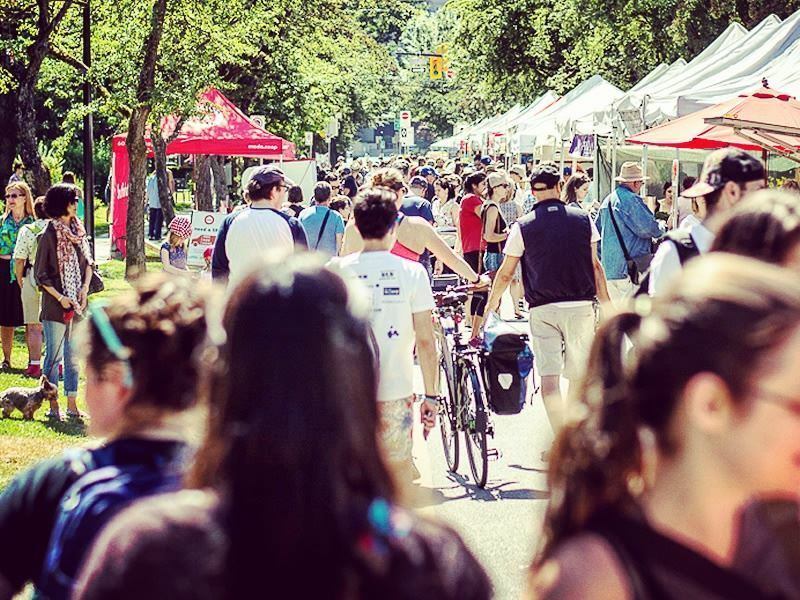 Set in the heart of Vancouver’s bustling West End, this popular market is tucked in between Nelson Park and the adjacent community gardens, making it perfectly located for swinging by to pick up some fresh goodies on your way for a picnic. There are plenty of food trucks here where you can pick up a snack, a freshly-ground cup of coffee or a cool fruit juice and take it with you while browsing the stalls laden with fruits, vegetables, pickles, preserves, baked goods and cheeses. What started out in 1995 as nothing more than 14 farmers squatting at the Croatian Cultural Centre has now blossomed into the Trout Lake Farmers’ Market: one of the most popular markets in Vancouver today. Visitors flock from all over the city to this foodie hotspot to feast on the handcrafted artisan breads and preserves, hoard free-range eggs and take home delicious organic meat. There are also plenty of food trucks stationed at the market, selling all kinds of tempting dishes made from the locally-sourced seasonal produce on sale if your appetite won’t wait until you get home. Launched in June 2016, Downtown Market is one of the newest farmers’ markets in the city, taking over from the former Thursday Yaletown Market previously located four blocks south on the corner of Georgia & Hamilton. Here you can load your basket up with the finest local produce, meat, poultry, fish, eggs, baked goods, artisan foods and handicrafts, as well as incredible local craft beer, wine and spirits. This market was made possible thanks to the Vancouver Civic Theatres and the city’s Activation of Underutilised Civic Theatre Spaces Grant which turns otherwise forgotten spaces into fun, lively places that benefit the whole community. The first farm-direct market in the south of Vancouver, Oak Street Farmers’ Market is also the only famers’ market in Metro Vancouver which sells certified organic produce, eggs and meat, making it a buzzing hub for healthy eco-conscious shoppers. As well as raw ingredients, there’s a great choice of freshly prepared dishes made using the local products on sale and quirky handicrafts which make perfect gifts, too. The market is run by the Unitarian Church of Vancouver whose mission to connect the local community with farmers and artisans while supporting and promoting sustainable food production and distribution is a complete success. 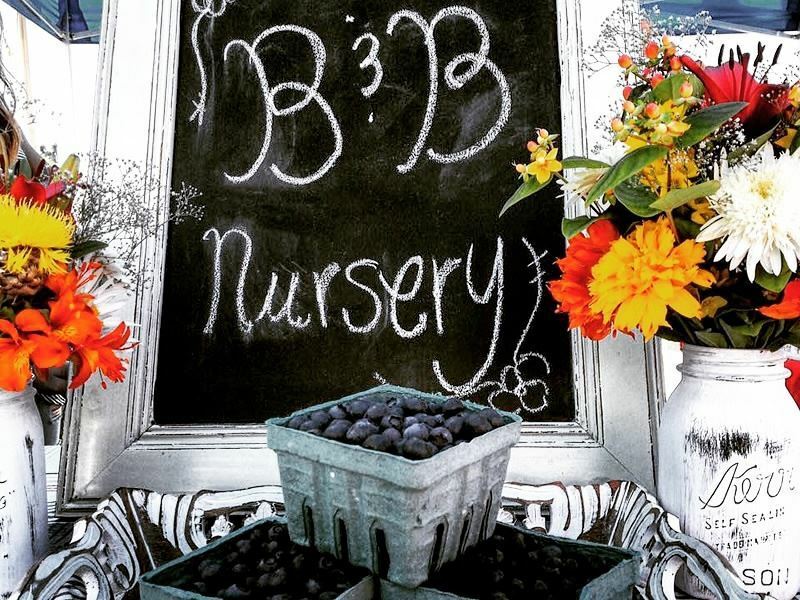 One of the very few famers’ markets open for the winter and spring seasons only, the Nat Bailey Winter Market is a fantastic place to pick up hardy root vegetables and other fresh goodies harvested during the winter and spring months. 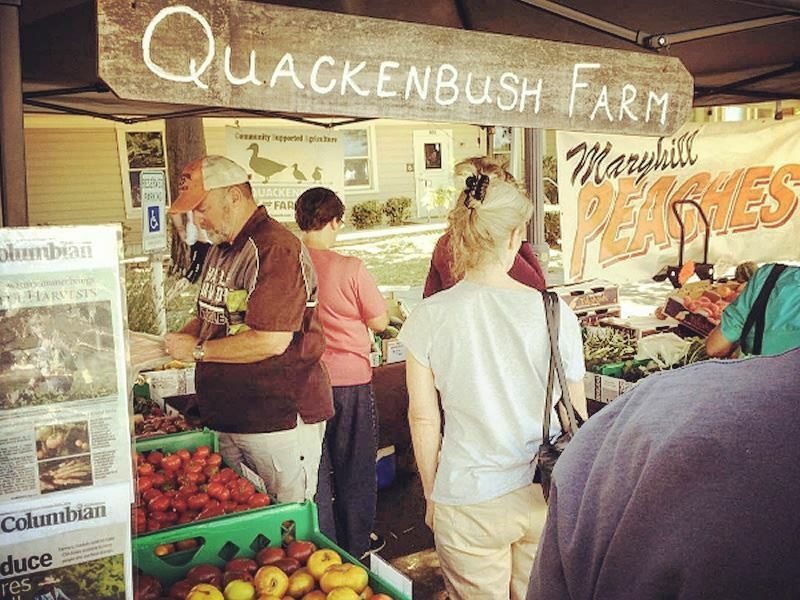 In addition to the local produce, the market is well stocked with meat and seafood from local ranchers and fishermen, handmade bread and cheeses, freshly-picked herbs and seasonal nursery items, baked goods, prepared dishes and artisan handicrafts. There’s also a great selection of food and drink trucks where you can warm up with a hot cup of soup or coffee and listen to the local market musicians before starting your shopping. This one-of-a-kind market boasts a fantastic riverfront location and one of the greatest choices of fresh, locally-sourced quality food you’ll find anywhere in Vancouver. From organic seasonal produce, baked goods, grass-fed organic meat and pasture-raised eggs to local honey, wine, spirits and artisan gifts, you could easily spend hours just wandering amongst the stalls, admiring everything there is on offer. After you’ve shopped ‘til you’ve dropped, stay a little longer for the live music, fantastic nearby restaurants, organised family activities, waterfront playground and fun, friendly atmosphere the River District Farmers’ Market is famous for.